This is so hard for my to write because it means that it is over. So for those of you who don’t know, I have been part of Spinebreakers for around four years. Well I was in Year 11 and in tutor period I would either be reading a book or talking to some friends. So this girl in my class would always see me with a book and suggested I join Spinebreakers. I knew about Spinebreakers because I have read a lot of penguin books and the YA books have the Spinebreakers logo on the back. But I never thought of joining or applying since I’m always like ‘I’d never get in’. But she said she’d put a good word in for me and so I applied. And lo and behold they accepted. The first Spinebreaker event I went to was a workshop and it was lovely meeting all these different people. The first author event I went to was meeting Anna Perera who wrote Guantanamo Boy and The Glass Collector. It was at Daunt Bookshop so it was really cool to hang out there AND meet an author and have her sign my books. I am not a stranger to meeting authors (Alhamdulilah…I have been blessed not only with the love of books but also living in London means I have had the opportunity to meet some of my favourite authors). 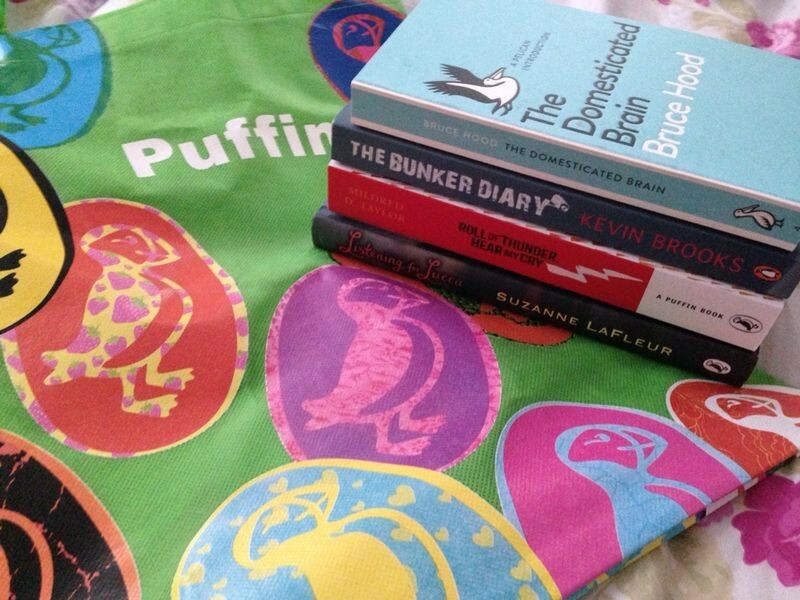 So my mum took me to Penguin HQ on the Strand and I was so excited I had no idea what to expect. The editorial meetings consist of a group of teenagers who all have a passion for reading. The marketing team or some of the Penguin stuff from different departments (not just Puffin) come to the meetings and PITCH US BOOKS. So we get to choose which books we would like to read and review. WE ALSO GET ARCs (advance reader copies aka proof copies) which means we GET TO READ THE BOOKS BEFORE THEY ARE AVAILABLE TO THE PEASANTS (aka all you muggles). So the fact that I as a teenager discovered this world of publishing and free books is incredible. The fact that I could MEET NEW PEOPLE and they let me talk about books non-stop is amazing. They welcomed me and accepted me into the Spinebreakers family. Shoutout to Lily and Atifa!!! Naturally I sung about my elevated status with my friends and told them all to join but they had other responsibilities. However anyone I could find or tell about Spinebreakers I made sure to get the message across. So Spinebreakers didn’t just give me free books but also the opportunity to make friends, meet authors, attend exclusive events and be part of an amazingly unique book community. WE create the content and WE choose what we want to do etc. Some of my favourite Spinebreakers memories is when I got to meet MALORIE BLACKMAN…it was so informal and casual and we just started chatting as I thanked her for Noughts and Crosses and it was so surreal. Other authors i got to meet thanks to Spinbreakers: Meg Rosoff and Kevin Brooks as well as Beverley Naidoo. The authors love being interviews by Spinebreakers and they love that there is a book community for teens in the UK. Also making the TFIOS video for John Green was so much fun because it means that HE SAW MY FACE KJDSHGKJFH. I loved going into Penguin every month and seeing how the publishing industry is and then all those books. Being surrounded by BOOKS and BIBLIOPHILES is the best thing. Sharing the love for books. Also the food. Oh gosh they always had plates of biscuits and fruit and drinks and it was so nice after school/6thform/uni to go there and just have some snacks and chat about books and what books we’re gonna read and review. The Spinebreakers website offered me opportunities to improve my writing with reviews, creative content and blog posts. They offered a wide range of competitions which were so cool like theatre tickets or book sets and just so many wonderful things. Spinebreakers wouldn’t have been possible without the collaboration of Penguin and Livity. 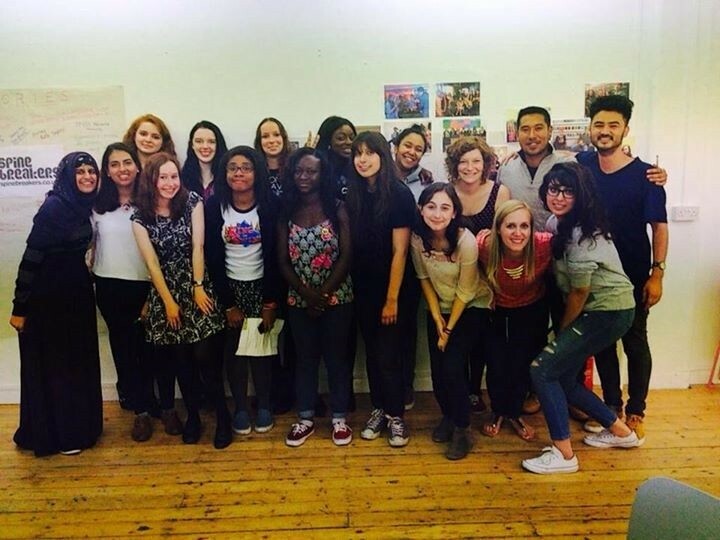 Livity works with young people FOR young people. they are amazing. Seriously their office is so cool (it’s in Brixton) and they run Live Magazine UK. If you are interested in joining just go to their office on Wednesday at 4pm. Or check out the website for opportunities. They are always tweeting about stuff for young people to get involved in. Somewhere to is also this amazing thing where IF YOU WANT TO DO SOMETHING BUT DON’T HAVE ANYWHERE TO DO IT…they will FIND A PLACE FOR YOU TO DO THE THING. i.e if you want to put on a play…they can find you a place. Check out their website for more details. So thank you Livity and the Livity team who have helped makes every editorial meeting wonderful…even if we usually got lost! I cannot thank you enough: Danielle, Dwain, Aisha, Florence, Charlotte and Will for running the editorial meetings. To all the Penguin Team who have come to the meetings, been so friendly and offered advice and pitched us BOOKS- THANK YOU!!! Above all…thank you to Anna Rafferty– The inventor of Spinebreakers. Without your dream of a book community for young people; a place where books are treated like films/music/games I wouldn’t have met all these wonderful people or developed my passion for books further. I have also read many books that I wouldn’t normally have read so Spinebreakers has challenged me as a reader. So on Thursday 4th September 2014 was the Spinebreakers Party at the Livity office. There was crisps, popcorn, music, drinks and of course PIZZA. Oh and books. Duh. Anna Rafferty introduced herself, asked us questions, told us about the birth of Spinebreakers and what it was almost called (I won’t tell you it is too shameful). Sadly I was too busy eating pizza and talking to my friends to go up to her before she left but I shall defo be contacting her and writing her some long email thanking her. It was good to see familiar faces of the Livity team and Spinebreakers and just hang out and talk about books. 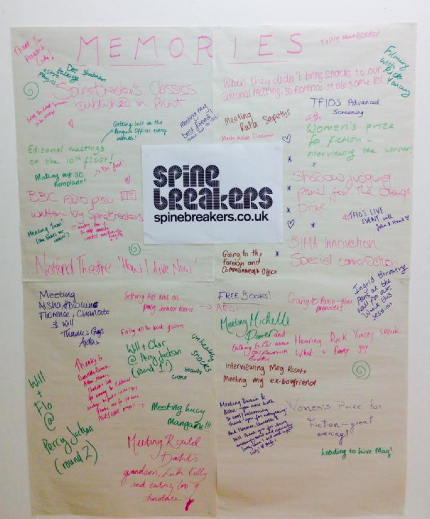 There was a timeline of Spinebreakers memories and a memory wall where we wrote some of the best times. The fact that it has ended is heartbreaking because it has been such a huge part of my life. Seeing the same people every month or meeting new book lovers…I feel like a Spinebreakers grandma since I am older than most of the members and one of the first few Spinebreakers. I have stayed till the very end. However, Penguin have said that IT WILL NOT BE THE END OF FREE BOOKS so that is excellent news. Spinebreakers has given me a platform for talking about books with other book lovers across the country, meeting new people and just a safe environment without judgement to be yourself and share the love of literature. Once a Spinebreaker always a Spinebreaker. Thank you to everyone who has been involved with Spinebreakers and although this book has ended…may the adventure continue! Thanks for the memories and books! p.s the Spinebreakers website will be taken down so the links won’t work anymore.